BCHS believes that homelessness often occurs when an individual who is already vulnerable is isolated from the wider community; thus when the individual experiences a severe personal crisis it becomes overwhelming, as there is no support network to help him or her manage the situation effectively. In response, BCHS has worked since its inception to help those in need build the networks of personal support that are essential to survival and well-being. In essence, bringing people from isolation and crisis to community and stability. BCHS’ Housing Programs reflect this philosophy. BCHS provides a range of short-term, transitional and permanent housing with services to its formerly homeless and at-risk residents. Our housing offers safe, attractive residences with a continuum of services, and each is designed to create a sense of community for its residents. 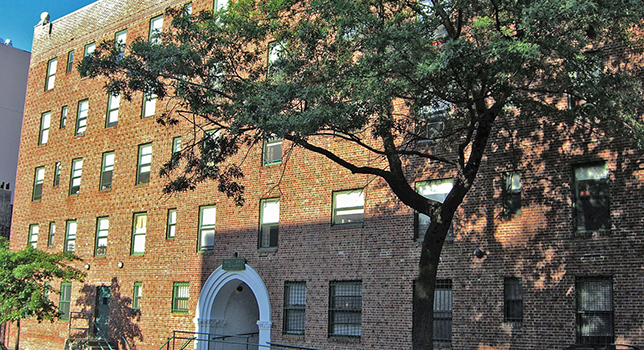 Opened in 1991, Brooklyn Gardens is a historic housing complex made up of three adjoining buildings, and it represented one of the first large scale supportive housing programs in the country. 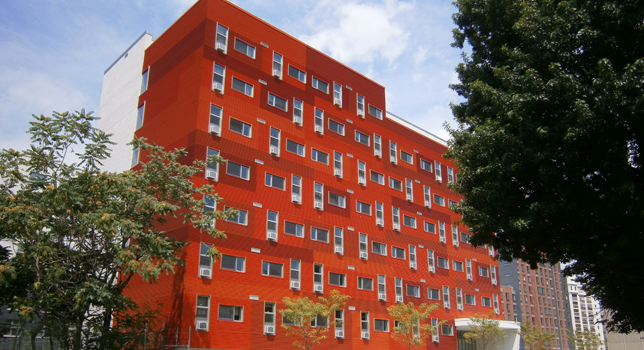 Unique in its scope, Brooklyn Gardens provides short-term, transitional, and permanent housing for 180 formerly homeless and at-risk New Yorkers. Because each building opens into a common courtyard with benches, chess tables, and gardens, the physical space encourages social interaction, and allows residents to develop a real community. The Scattered Site Apartment Program offers both transitional and permanent housing. Navy Green is our newest building, located right across from the historic Brooklyn Navy Yard.